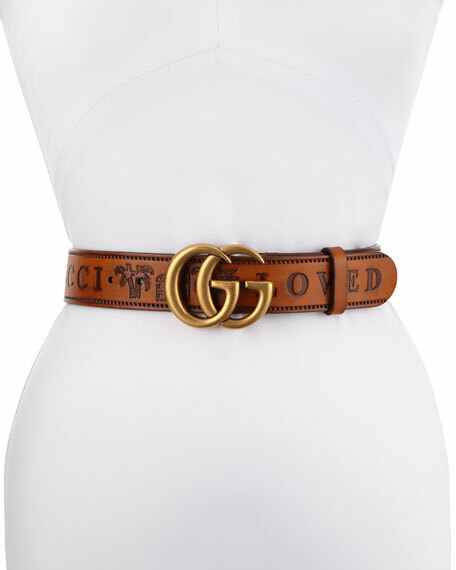 Gucci wide belt in leather with "Gucci Loved" embossed at sides. Adjustable, golden double "G" buckle with keeper. For in-store inquiries, use sku #2390819.